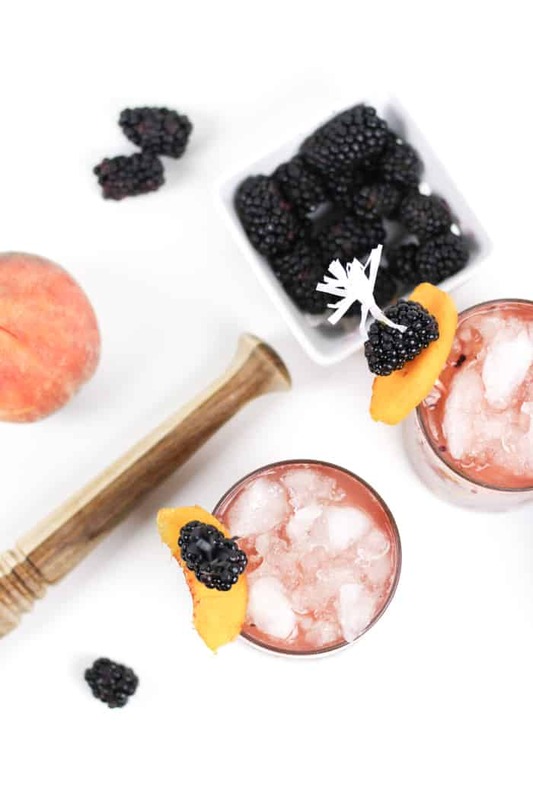 Sip on a Blackberry Peach Bramble. 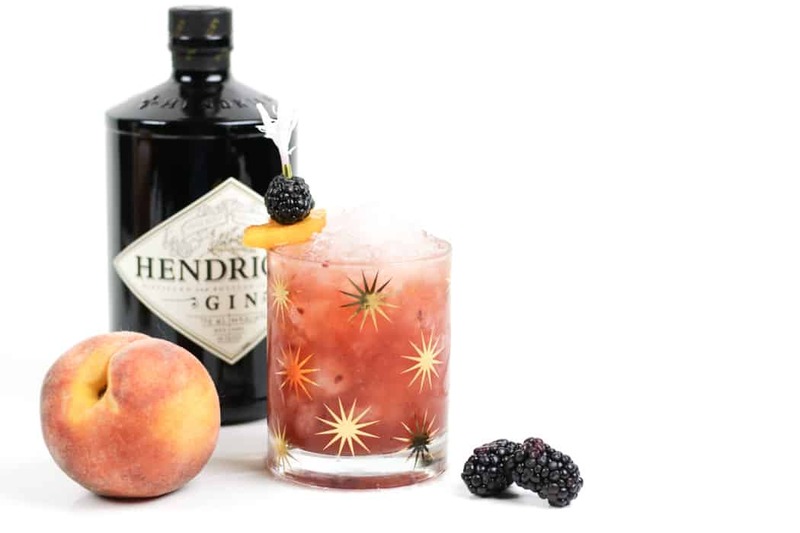 Made with fresh blackberries, peaches and honey, plus fragrant gin, this cocktail is the farmers market in a glass. DISCLOSURE: I received free product from Hendrick’s Gin as part of this post. As always, all opinions and recipe are my own. Thanks for supporting the brands that support Feast + West! It has been entirely too long since I have been to a farm and picked fruit. Like, actually walked up to a tree and picked an apple. Or spent an hour on my knees picking berries. I don’t think I’ve made a trek out to a farm like that in forever. Once in elementary school, we took a field trip and picked strawberries as a class. I remember being so proud of the basket of berries I brought home. I also have some lovely, fond memories of picking blueberries with my best friend when we were in high school. Her mom took us one summer day, and we were super giggly. 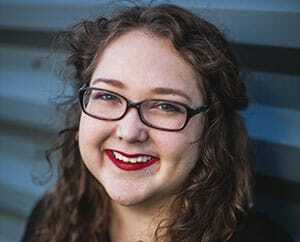 Somewhere there’s a really cute picture of us, plus her sister and her pal, sitting in the back of their truck surrounded by bushels of the most juicy berries I’ve ever eaten. It was just so delightful. I am longing to do something like that again. And yes, before you say anything: I do have a garden. Having a garden is awesome, but it is no match for a day spend on a farm, enjoying a farmer’s bounty right at the source. Fresh and succulent. 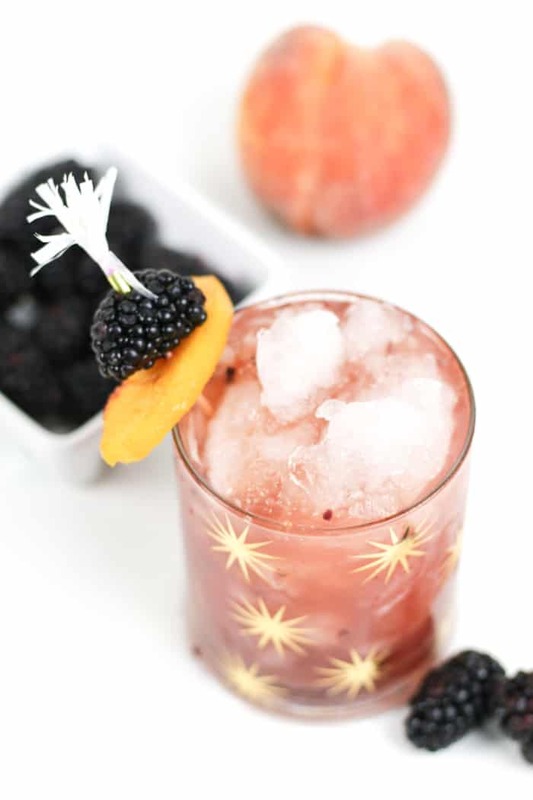 This Blackberry Peach Bramble tastes a lot like that. I bought my fruit at the farmers market last weekend. I bit into my first peach of the summer, and it was so tender and bursting with summer. And then the blackberries, each a little sweet-tart explosion. 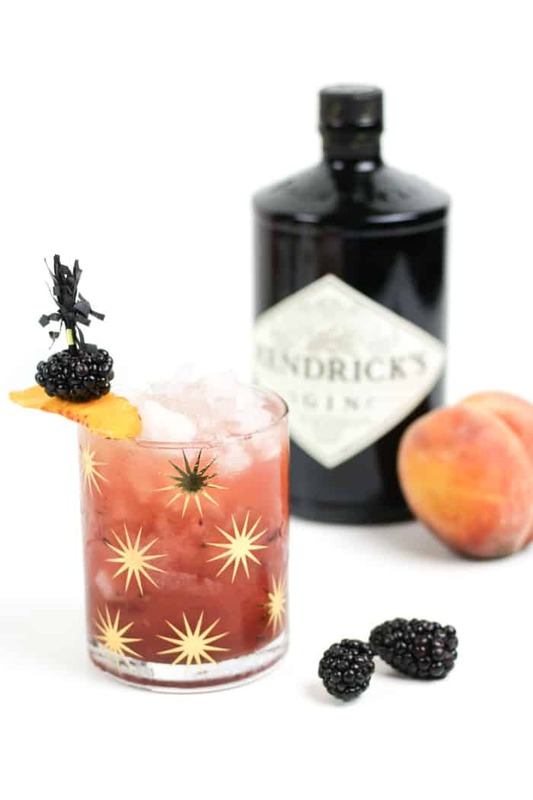 I remembered this Blackberry Peach Sour I made a few years back — so full of flavor and wonder. 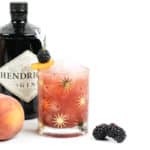 It inspired me to make a Blackberry Peach Bramble with a bottle of gin that the good folks at Hendrick’s sent me. I’m not usually much of a gin drinker, but this one is fantastic with its flavors of rose and cucumber. 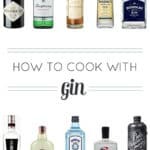 I’m definitely a fan of the bottle they sent me, but if you need help choosing a gin, you might like this introductory guide to gin! 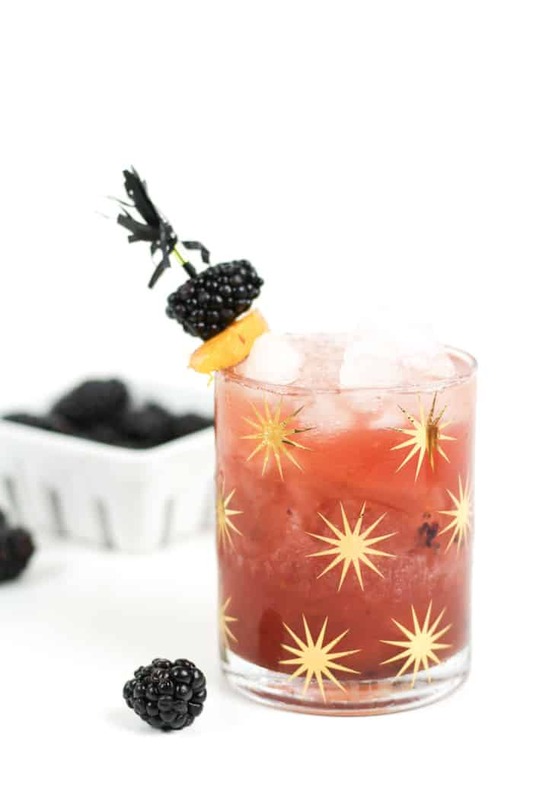 In addition to the bright flavor of the gin, this cocktail incorporates muddled blackberries, puréed peaches and local honey, as well as crème de mure, a blackberry liqueur. You can substitute crème de cassis if you like! It’s spectacular when shaken and served over crushed ice. Like the farmers market in a glass. 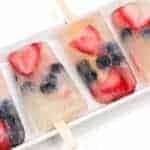 In a blender, puree peach chunks with honey until smooth. 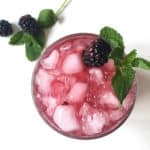 In a cocktail shaker, muddle blackberries. 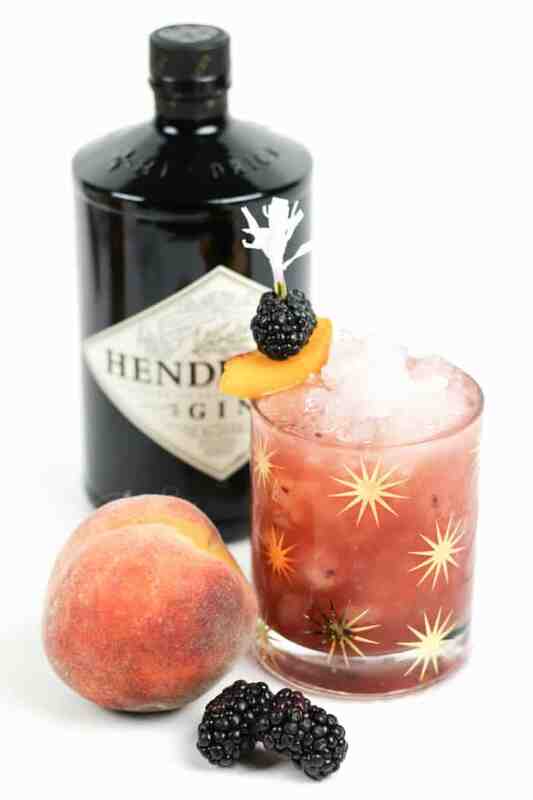 Top with 3 ounces peach purée, gin, lemon juice and crème de mûre. Add a few ice cubes. Shake vigorously. 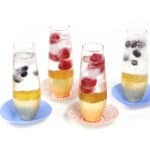 Fill 2 rocks glasses with crushed ice, then strain cocktail over top. Top with more crushed ice.